Last week, during T-Mobile's conference call following the release of its Q4 earnings, CEO John Legere called out Verizon for talking about how fast 5G will be. Legere accused the nation's largest carrier of discussing 5G speeds even before the standards have been set. Just yesterday, we told you that Verizon and Samsung had started trials to test their 5G technology. Verizon claims that it achieved download speeds faster than 10Gbps during its trials, and was able to send out 4K video while moving inside a truck. Today, T-Mobile announced that it is teaming up with Nokia to conduct 5G field trials in the second half of the year. Using pre-selected spectrum in the 28GHz band, the carrier will test 5G components. Nokia is developing "a pre-standards 5G test network" to use for both lab and field trials. While Verizon has said that "some level of commercial deployment" will begin as soon as 2017, T-Mobile CTO Neville Ray says that 5G enabled smartphones for consumers won't be ready until the 2020+ time frame. By using 2020 as a target, Ray is questioning Verizon's earlier pronouncements. "I think folks have seen some of the earlier announcements, and you know, Verizon trying to move and saying they're going to be the first to 5G, well, it's kind of BS, to be honest," said the T-Mobile executive. T-Mobile's corporate parent is Deutsche Telekom, which Ray called the leading European player in 5G." AT&T has also thrown its hat into the 5G space. The company said that promising to improve internet access to certain Americans as a condition for gaining approval to buy DirecTV, has given it an edge over other carriers in the race to be first with 5G. Even if they don't, all 4G bands will be uncongested and much, much faster than they are today. I dont know why people and companies are crazy about 5 G. I live in area where I have 2 bar coverage for all Big 4 . I tested almost all big 4 But could not get more than 3 mbps on 4 GLTE. If we have lowest bar How companies claim they can give us better speed. and if signal switch from 4 G lte to 4 G call drops. Company first should improve their service then implement data technologies. They should focus on 4G with more towers. Even 4G is very fast. I get 50mbs at peak and 120 non peak. Which is very fast. I have virgin cable giving me 230mbs at non peak and 70mbs at peak. All this hype about prominent 5G when 4G hasn't even been mastered. 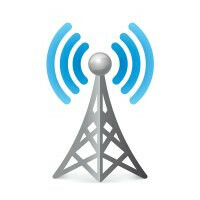 Why not focus on bringing LTE-Advanced? It's already 10 times faster than regular LTE, up to 1 Gbps ACTUAL speed (not theoretical).